The Italian Riviera, known in Italian as the Riviera Iigure, is a crescent-shaped strip of coastal land that is sandwiched between the Ligurian Sea and the adjacent Apennines and the Maritime Alps. 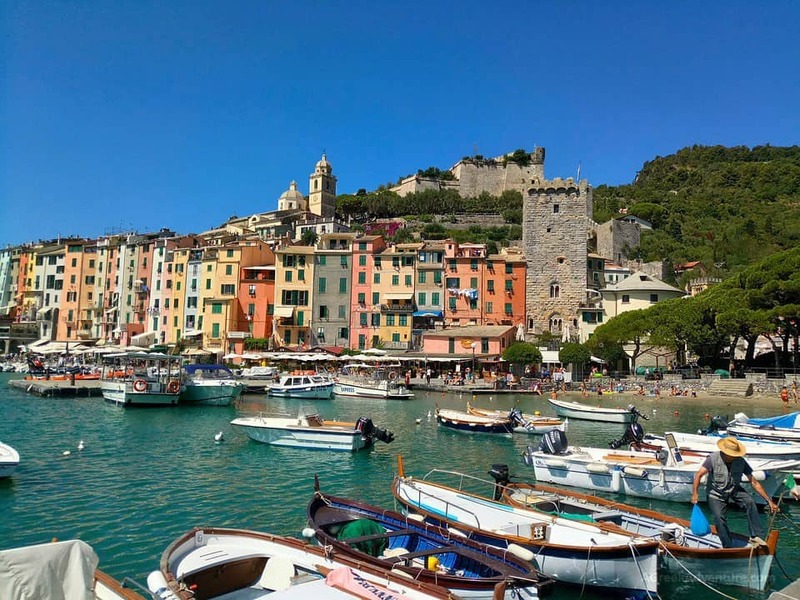 Ready to visit the Italian Riviera? The area is rich in both history and culture. It is the site of many historical events and milestones some dating as far back in time as the founding of the Roman Empire itself. In light of this, your visit to Europe can never be complete and fulfilling without a stopover at the area. Italian Riviera needs quite some planning. Check for prices in the Italian Riviera through here and here. Multi-day trips can be done with guided tours. Check for that here. We are here to provide you with the necessary guidance. We are going to discuss some of the top things to do in Italian Riviera in a typical 10-day visit. Italy is a fantastic country and we have been to many places already. 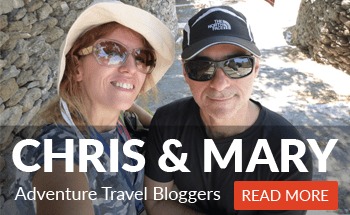 See our posts for: Palermo, Catania, Taormina, Syracuse, Cefalu, Agrigento, Pisa, Firenze (Florence), Milan, Capri, Napoli, Sorrento, Pompeii and Vesuvius, Verona. Sanremo marks the extreme southwestern tip of the Italian Riviera. This should be your preferred starting point. The city provides numerous resources and facilities that may be of interest to you. 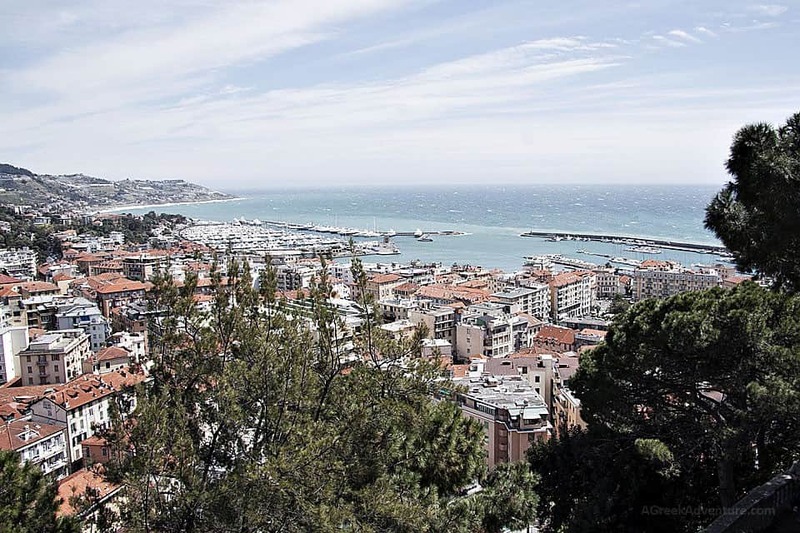 The city of Sanremo which lies in the southwestern tip of the Italian Riviera is a preferred starting point of a tour to the area. It is blessed with numerous open green spaces such as the Japanese garden, Villa Ormond, ancient olive groves, and numerous palm trees. These green spaces are quite, have fresh air, and are largely cut off from the congested lifestyles of the Sanremo city. You may start by relaxing in any of them. As hinted, Italy has a rich Christian heritage. Sanremo, in particular, has a 12th-century San Siro Cathedral. The cathedral has 12 bells in its tower as well as a huge crucifix located above its altar. From time to time, some masses are often held in these cathedrals. You may peek to explore Italy’s Christian past. You may also wish to time your visit in such a manner as to coincide with these masses. Are you a fan of gambling? 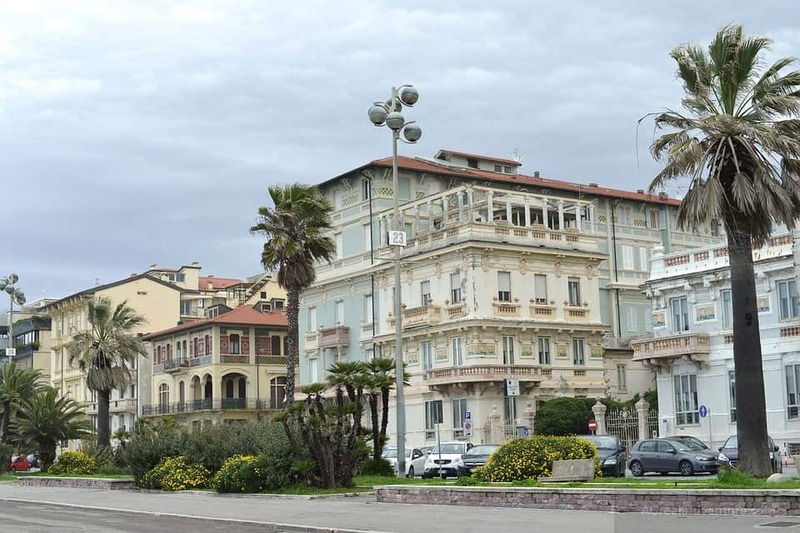 Sanremo has a Casinò di Sanremo that is located in the elegant art nouveau building. You may pop in and place your bet. The building also has a theater which does host live shows every quite often. Besides these, you may also hand out in the building and even take photographs. This is due to the breathtaking design and nature of the buildings themselves. Next, move northwards to Imperia city. This medieval city has a lot to offer to any visitor. It contains numerous museums which are great for you to visit and explore. This building doubles up as a circus and a museum. It comprises a circus room, music, emotions room, and a film art room. Several events and live performances are held in the building every quite often. At any given time, you might pop in and catch a show. Being a circus, you may get the opportunity to enjoy plays and other fun-filled performances. Take care that you do not crack your rib because the comedians here are very funny. Being adjacent to deep waters, the city of Imperia has served as a navy base for the Italian troops. The Naval Museum of Imperia gives you a peek at Italy’s maritime past. It opens every Saturday from 4.30 pm local time. Unlike most naval museums of its kind, it is dedicated to the furtherance of the modern navy. You will get to see the latest warships and other water-based combat weapons. The entire Italian Riviera area and the adjacent hinterland is great for olive production. No other museum lets you explore these better than this Museo dell’Olivo Carlo Carli. In the museum, you will get to explore the olive tree and its oil production alongside other pertinent issues. You will subsequently appreciate the significant contributions that this wonderful plant has made to the entire region. Alassio stands out as a holiday destination. It contains several hotels and other excellent accommodation facilities which make it a perfect destination for holidays and parties. You will thus find it great for parties and relaxation. At the heart of Alassio is the I Giardini di Villa della Pergola garden. This garden contains bright flowers, green plants, and other breathtaking greeneries. This garden is super quiet. It is devoid of the noise, hooting, and other sounds that are characteristic of similar gardens that are located in downtown areas. As such, it is relaxing indeed. You, therefore, may get in and relax. Alternatively, you may also take photos and even hold a picnic. Gallinara is a small island that is located off the coast of Alassio. It is basically a nature reserve. It is set aside exclusively for the purpose of marine-based activities. These include scuba diving, snorkeling, and other underwater activities. In case you are a water sports enthusiast, this is the place to be. The island is safe from sharks and other ferocious marine animals. No incident of attacks by these animals has ever been recorded. You may rest easy of your safety at all times. Italy has produced great authors and actors. Almost all of them have since fallen. However, their souls still reign supreme. This Muretto Di Alasio is a monument that is dedicated to them. The museum has a list and photographs of all the top literary experts that have walked Italy’s surface. It also has their photographs and samples of their literary works. Paying a visit to the monument will take you as close as possible to these past heroes. 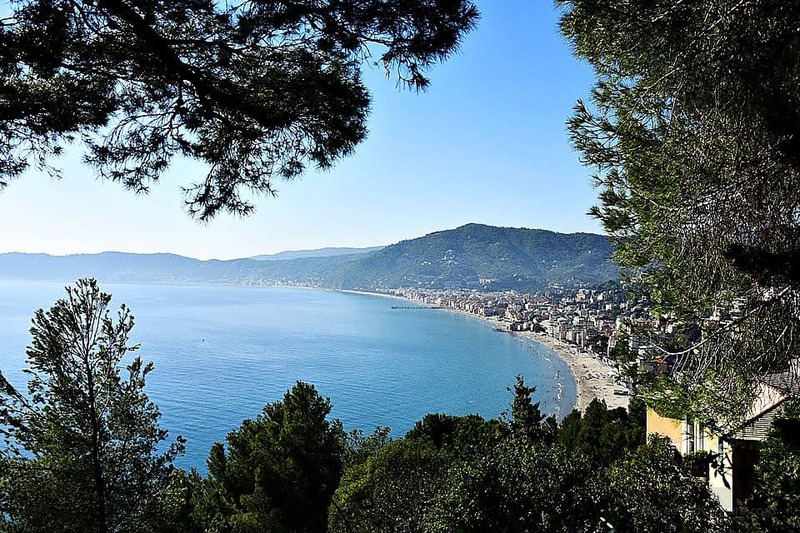 Finale Ligure stands out as a popular beach resort and holiday destination. While at it, you may wish to detach and retreat to one of the holiday destinations that the city provides you. 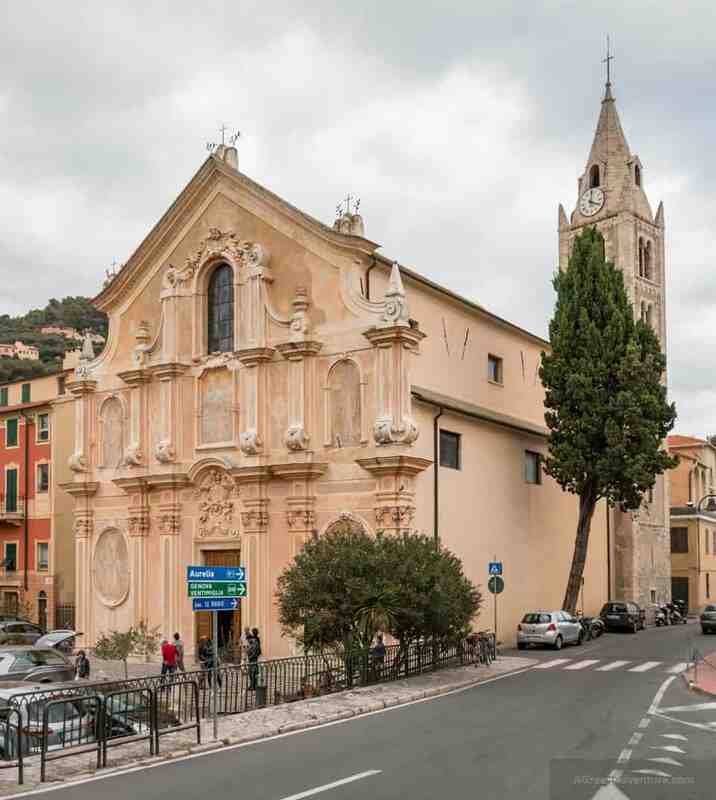 Located around 16 miles from Savona, this Benedictine monastery gives a rough peek into the role and influence that Christianity once had in Italian culture in years past. In your tour of the city, you certainly want to get in and experience for yourself what the monastery has to offer. The complex is also beautiful owing to the use of ancient architecture. They too can form great opportunities for photography. Once serving as a defense and seat of the Del Carretto Marquisses this structure doubles up as a museum and a castle. You may climb to its top to view the adjacent ocean and experience the breeze. Your visit to the site will also familiarize you with Italy’s past. Given that is it real, it will give you a realistic reconstruction of Italy’s history. The events you read in books will literary come alive. Your visit to Finale Legure can never be deemed complete and fulfilling without a stopover at the Baia dei Saraceni. This is basically a clean waterfront beach. Unlike most other beaches that are located next to cities, this one is spotlessly clean. It has no sewage or garbage and is as such very hygienic. You may sunbathe, swim, and relax at the shores. You will also enjoy the breezes that constantly bombard the coastline. 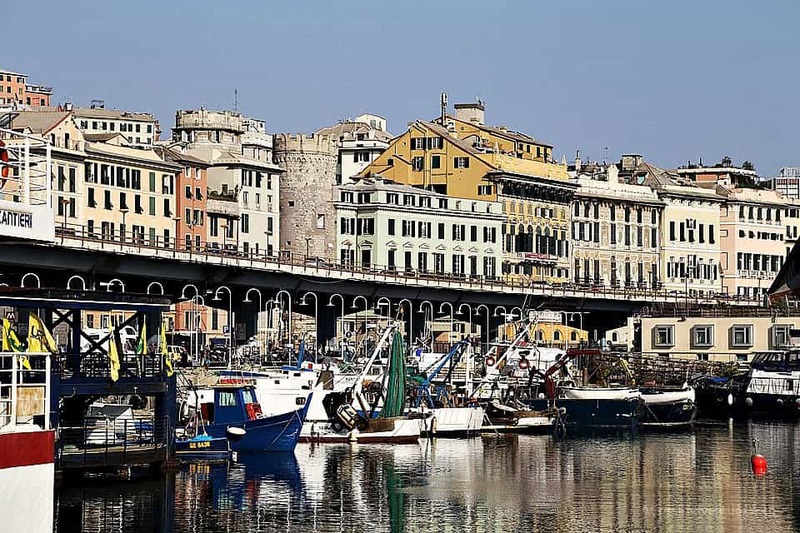 Genoa is the largest and by far the most significant of the cities and villages that constitute the Italian Riviera. It is a great tourist attraction site which any visitor to the region cannot just afford to overlook or skip. The most outstanding point of interest in Genoa is this Acquario di, Genova. It is Europe’s largest aquarium (measuring 33,000 square feet) and is located at the city’s old harbor. It is basically a vast aquarium in a ship-like building and hosts several marine animals. At the aquarium, you get to interact one-on-one with the various marine animals which you would ordinarily want to keep off. You may even take close-range photographs of the same. It is no secret that Garibaldi played a pivotal role in the liberation of Italy. This is basically a street that straddles a couple of miles in Genoa. It is adorned with historic streets and palatial residences, all in honor of Garibaldi the liberator. 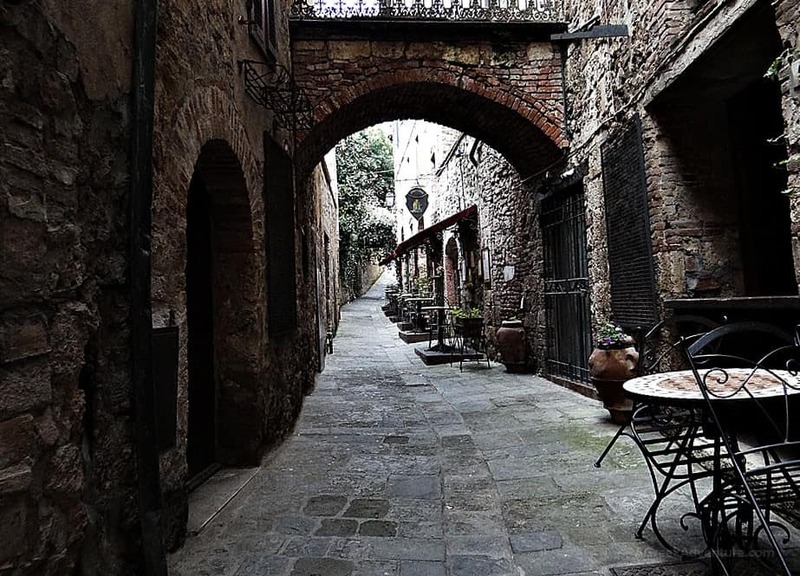 Take a walk on the street to enjoy Italy’s past. You may also capture the photographs of these wonderful adjacent palaces and streets absolutely free! Located at the heat of Genoa, Piazza De Ferrari is Genoa’s main square. It is basically a grand square that has been used for a couple of civic events. It has a fountain at its center which provides an opportunity for background photography. The grand square provides you with numerous opportunities and possibilities. You may relax at some of the public benches nearby, take photos, capture videos, or simply walk around. 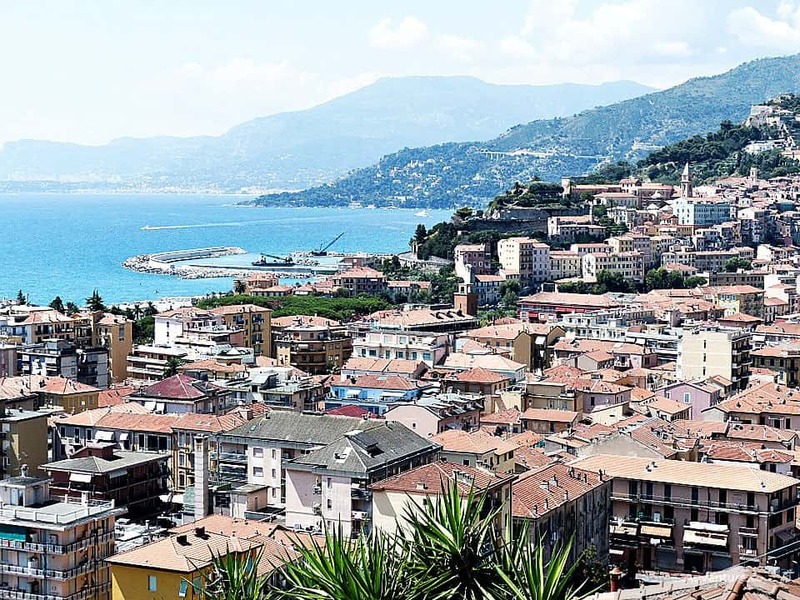 Located on the Italian Riviera coastline, this city of Rapallo is well known for possessing numerous sculptures, statues, and other famous landmarks. Most of them have Christian rather than historical themes or significance. Once serving as a shelter for pilgrims, this Sanctuary of Our Lady of Montallegro is an iconic historical structure. 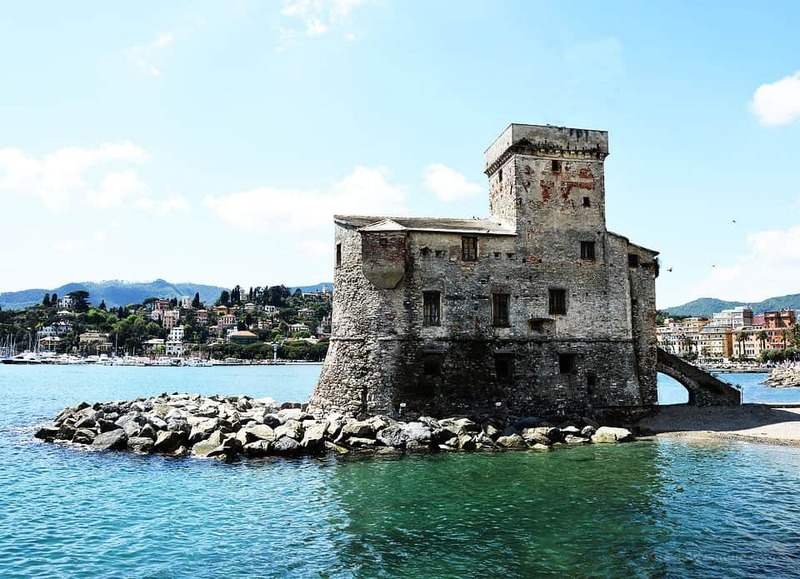 It is situated atop an inland hill at Rapallo. The ambiance of the structure is scenic and breathtaking indeed. You will find the entire area great for photography and relaxation. Moreover, by standing at the base of the structure, you will look downhill and observe the adjacent panoramic views of the ocean. The Italian Riviera had been attacked numerously by past invaders. This Castello Brown was once a fort that defended the site from the invaders. It was constructed in the 16th Century. Given that there are no more threats of future invasion, the site now a museum. Apart from according you a glance at Italy’s past military strategy, it also provides uninterrupted views of the adjacent ocean. This is not to mention its relaxing atmosphere and ambiance. Originally built in 1678 as a summer residence of the Durazzo family, this villa is situated in a beautiful park in Rapallo. Its location overlooks the Gulf of Tigullio. It is both a castle and art facility. The villa is great for wedding honeymoons and other outdoor events. What’s more? It also serves as a restaurant. You may get in and have a taste of your favorite Italian/Mediterranean cuisines. The port city of Le Spezia is famed world over for its maritime heritage. As such, it has numerous museums, landmarks, institutions, and other facilities that are dedicated to this theme. Just like Gallinara, Palmaria is also an island. It measures approximately 1.6 square kilometers and is located off the Gulf of Le Spezia. The island has sheltered beaches which are great for relaxation, swimming, and sunbathing. Moreover, it is located away from the hustles and bustles of the congested mainland life. You may want to retreat to the island to break away and relax. Moreover, it is also a park and is thus home to several rare plant and animal species. While at Le Spezia do take a stopover at the Museum Amedeo Lia. This museum has a prestigious collection of fine arts that range from antiquity through to the 18th century. By checking in to the museum, you will get to enjoy the various antiquities and historical objects that Italy, and indeed much of Europe has to offer. It is mainly great to visit in the spring and autumn rather than summer. In a nutshell, Castello San Giorgio is a castle complex. It is rectangular in shape and is connected to the outside world by three drawbridges. It confers historical values and also doubles up by offering excellent views and exhibits. Some of these extra fringe benefits are military, culture, history, and art. Do spare some time to visit the castle. This way, you will get a peek at Italy’s past without enrolling at a history class. Massa is a small town which serves as the provincial capital of the Massa-Carrara Province. It mainly stands out as a tourist hotspot due to its possession of numerous hotels and other tourist attraction sites. The area around Massa is renowned for active waves and tides. When these waves and tides wash ashore, they eat up certain portions of the strand. This results in spectacular sceneries and landforms. The most outstanding of these landforms is the Cave di Marmo. This is basically a cave that is adjacent to the oceanfront. It is modified into an outdoor museum in. It displays a host of marble quarries which showcases various excavating tools and sculptures. Quench your love for camping and beach life by checking into the Marina di Massa while in Massa City. Marina di Massa is an ancient villa which is surrounded by a beautiful garden. It is located at a stone’s throw distance from the beach on the northern coast of Tuscany. Its serene ambiance, proximity to the ocean, and relaxed atmosphere jointly help you to unwind after a hectic day. Are you a seasoned mountain climber? Put your mountain climbing skills to practice by climbing the Monte Sagro. This peak forms part of the larger Alpi Apuane range. It overlooks Massa and offers breathtaking views of the ocean and coastline. It is not so steep (only 1,753 m) and hence takes less time and effort to climb. Moreover, it has some breathtaking views and landforms such as marble which you may photograph. Viareggio is the second largest city within the Italian Riviera. It is the embodiment of the Italian Riviera region as it contains all the attractions, features, and facilities that the region has to offer. It, however, stands out from the rest of the cities by reason of its annual carnival. If you are a fan of watching birds you are not left out either. Lake Massaciuccoli Park which is not so far from downtown Viareggio shall come to your rescue. Even though it is called a lake, it is for all practical purposes a swamp. It is smaller and shallower than standard lakes. It measures a paltry 6.9 square km and is home to several bird species. The sunset is a perfect time to take photos of the lake too. Museums are constructed and devoted to several purposes. The Villa Paolina Civic Museums are intended wholly for the sake of showcasing Italy’s musical heritage. Originally serving as the home of Napoleon Bonaparte’s sister, the villas are now converted into museums. They now include among others a museum of musical instruments as well as an archaeological museum. In your free time, spare some time and explore these historical gems that the museums have on offer. The city of Viareggio does hold carnivals every quite often. The carnival is held in January and February each year. It is a time of joy, happiness, fun, pomp, and color. Viareggio’s carnival is considered one of Europe’s greatest. As such, you certainly would not wish to miss out on it at all. You may wish to plan your trip to the Italian Riviera appropriately in order to take advantage of the carnival. 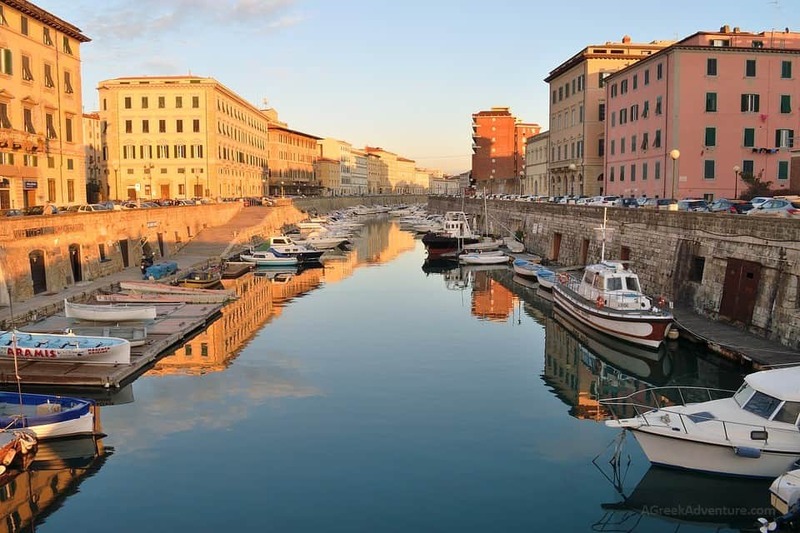 Livorno is your last leg in the Italian Riviera visit. It is located at the extreme southeastern tip of the region. It is almost directly opposite Sanremo. The city mainly provides opportunities for relaxation and dining. Translated into ‘the Monument of the Four Moors’, the Monumento dei Quattro Mori is an iconic bronze and marble statue. The statue was erected in 1626 to pay tribute to Ferdinand I of Tuscany over his victory over the Ottomans. While at Livorno, please spare some time to sightsee the statue. You will get to relive the victory besides taking photographs which you may carry with you later. In this last leg of the Italian Riviera visit, you may wish to eat your favorite Italian dish at the Terrazza Mascagni restaurants. These restaurants are located at a seaside plaza that accords picturesque views of the adjacent ocean front. They offer a relaxed atmosphere thanks to the sea breezes that constantly bombard the adjacent buildings. You will also get to relax after your meals in the nearby beachfront. This hilltop sanctuary dates back to 1345 CE. It is basically a religious complex that is situated on the Monte Nero Livorno Hills. Even though it is purely religious in scope and character, the sanctuary also doubles up as a getaway. The area has fresh air, abundant sunlight, and affords uninterrupted views of the adjacent surroundings. You may wish to climb the hill to breathe easy especially after a tedious tour of the entire Italian Riviera. Check for prices in the Italian Riviera through here and here. Multi-day trips can be done with guided tours. Check for that here. Now that you know all you might possibly enjoy your visit to the Italian Riviera, why don’t you now purpose to pay a visit to the area? Getting started is not so daunting a task. There are numerous tours and travel firms in the area that can facilitate your trip and accommodation. Moreover, the various accommodation facilities in the area are affordable more so when compared to their counterparts in the rest of Europe. In light of this, you will not break your back at all while paying a visit to the area.